John Hogan focuses every day on helping his clients overcome the challenges and barriers they face. 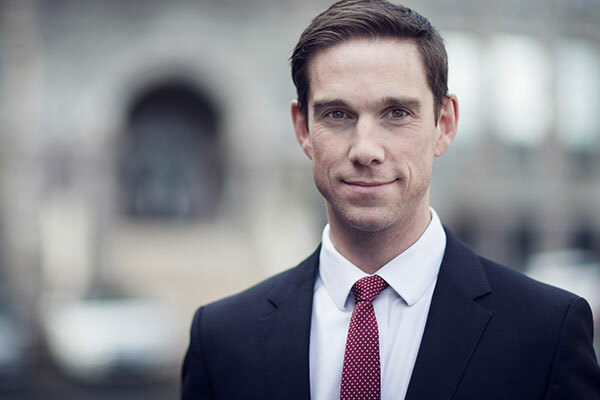 One of three founding partners of Wadden Peddigrew Hogan, over the past ten years John has been entrusted by his clients because of his demonstrated success, extensive experience in court and his commitment to client satisfaction. After graduating from Memorial University with a degree in biochemistry, John went on to graduate from law school at Dalhousie University. After being called to the bar in Ontario after articling with a large multi-service firm on Bay Street in Toronto, John returned to Newfoundland and Labrador and has been an active member of the bar in this province since 2005. Giving back to his community has always been important to John and he has served as a board member with St. John’s Clean and Beautiful, MUN Childcare Centre, Wreckhouse International Jazz and Blues Festival, and MUN Board of Regents. John is also involved in the Liberal Party of Newfoundland and Labrador where he has served as Treasurer and Chief Financial Officer as well as Vice President. John is currently a Law Society of Newfoundland and Labrador Bencher. Individuals and organizations value the experience, strong representation and measured advice provided by John. He has built long-lasting relationships with clients who look to him as a trusted advisor across a range of issues.